1285063007 -The path to becoming an effective supervisor begins with practical knowledge and skills. 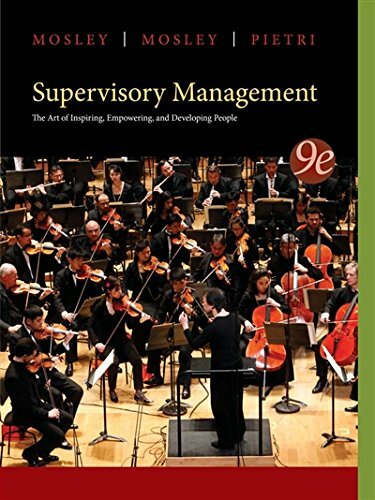 Mosley, Mosley, and Pietri’s SUPERVISORY MANAGEMENT, 9e gives you the tools to develop superior supervisory skills and a firm grasp of management principles. Through their “hands-on” approach to Supervision, the authors will inspire you with their positive approach to working WITH people to develop and empower them in their jobs. Incorporating cutting-edge content with real-world cases and Skill Builders that give you plenty of opportunities to hone your new Supervision skills, the Ninth Edition of this best-selling text is an essential resource that you will turn to again and again throughout your supervisory career.